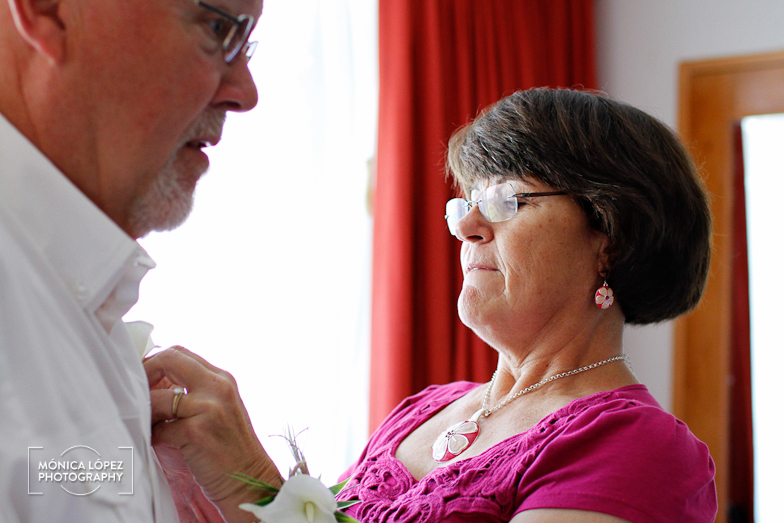 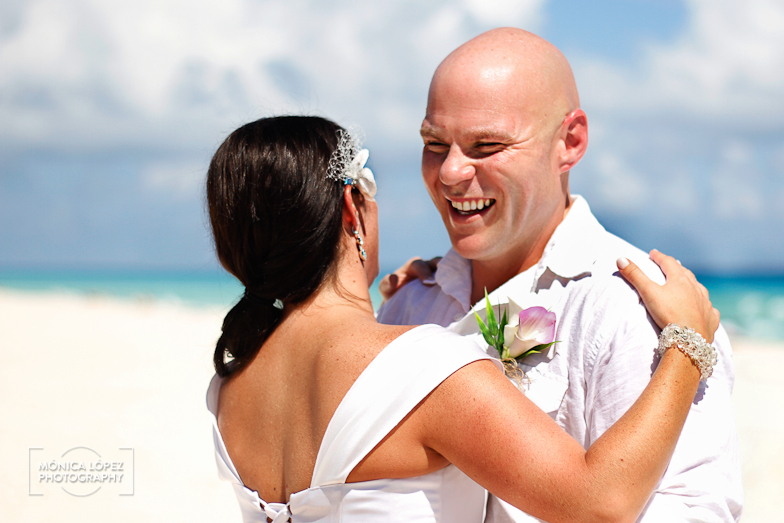 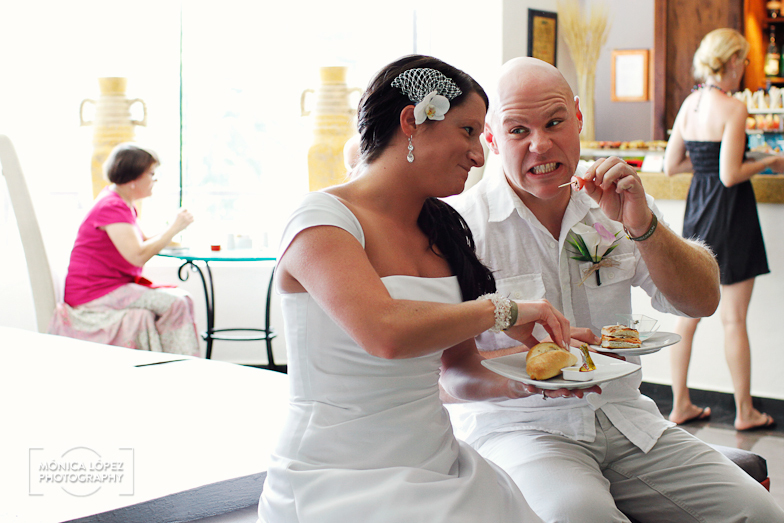 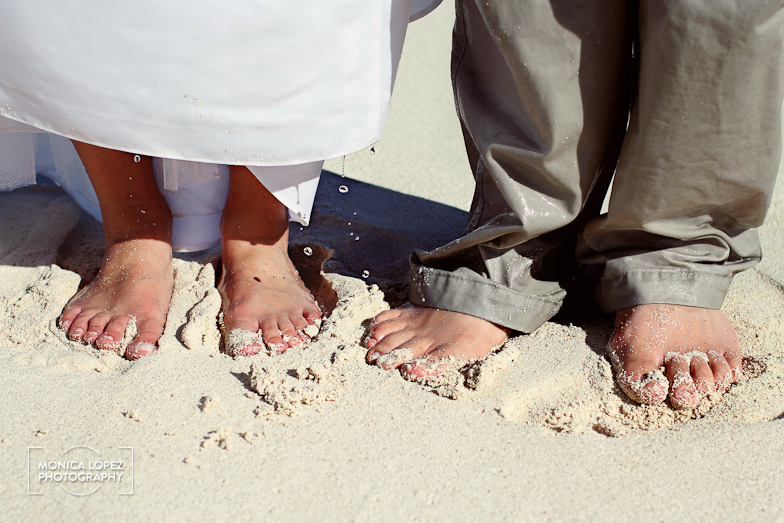 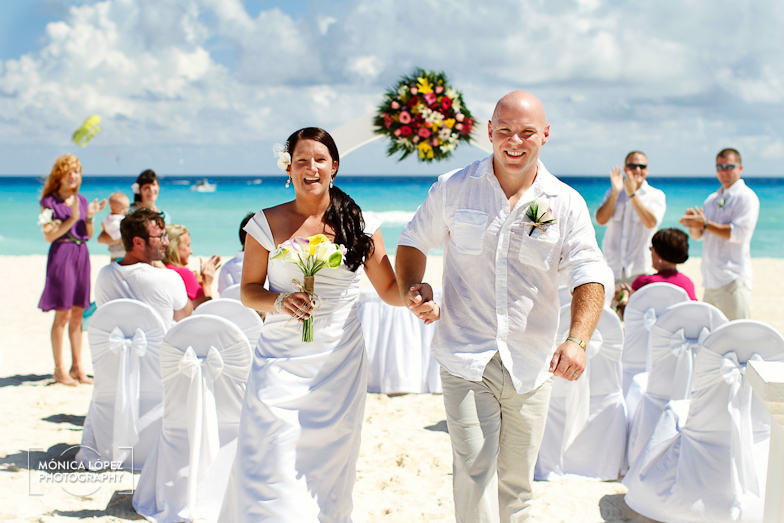 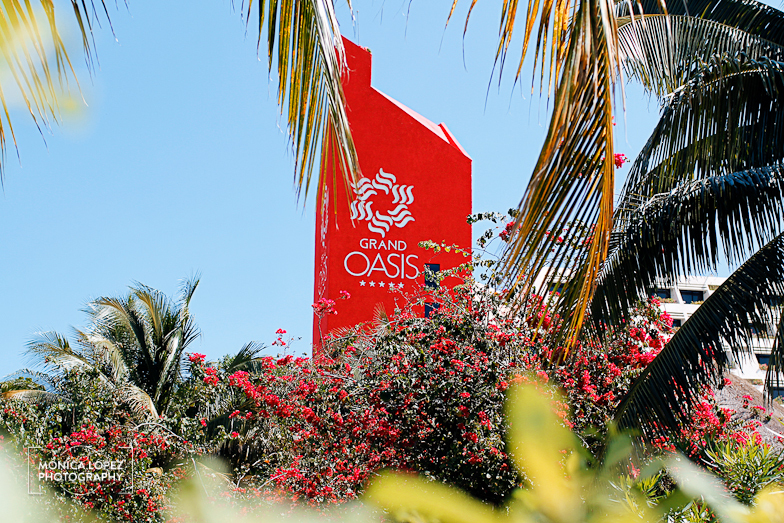 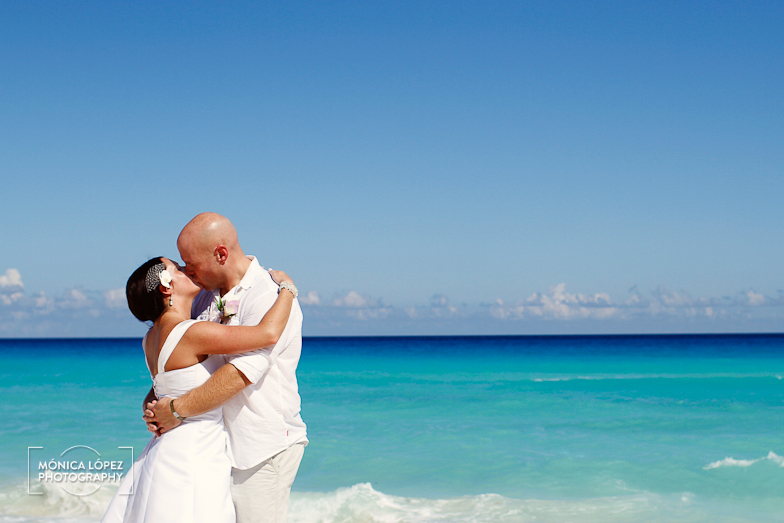 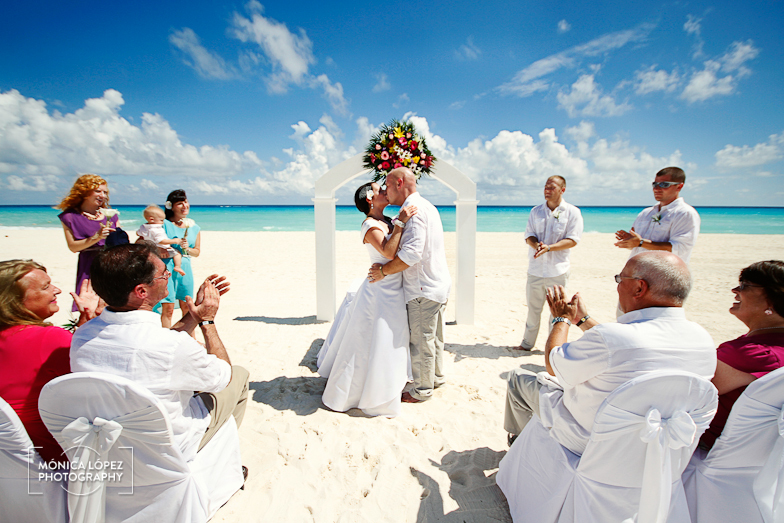 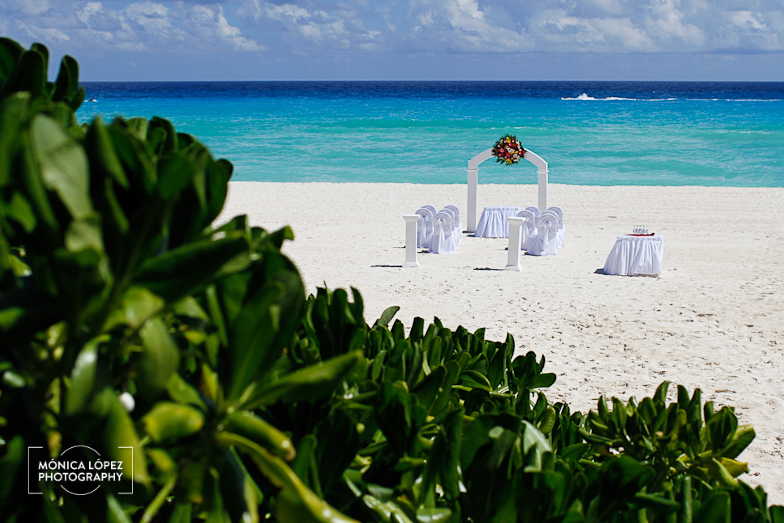 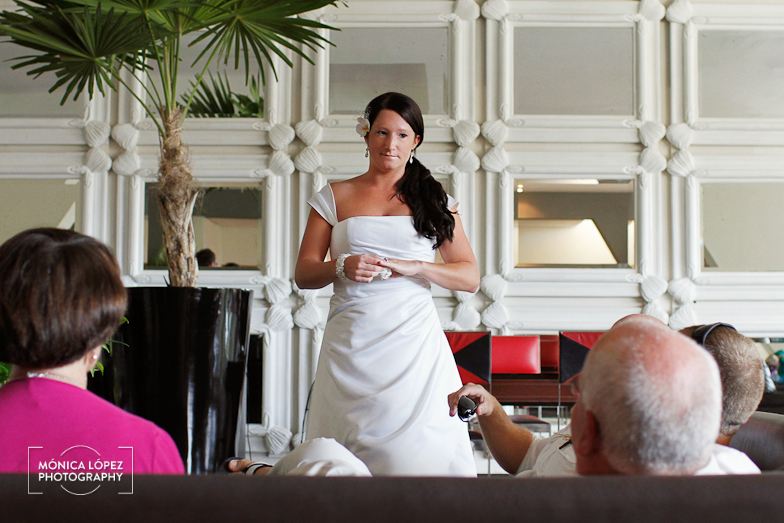 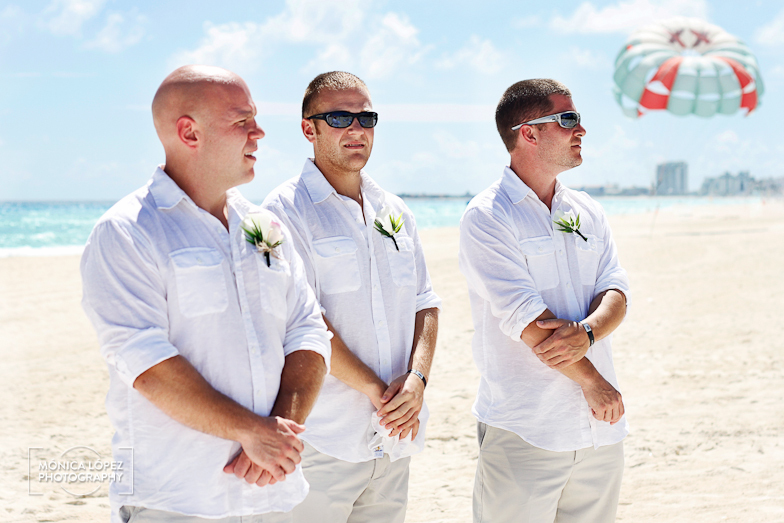 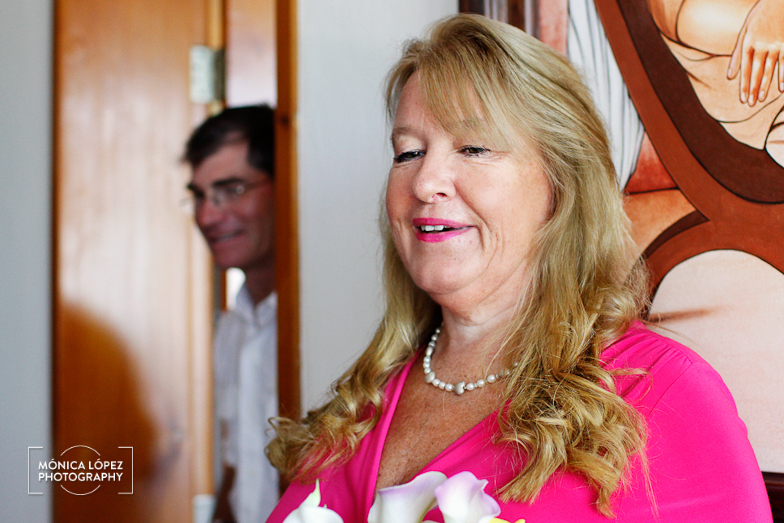 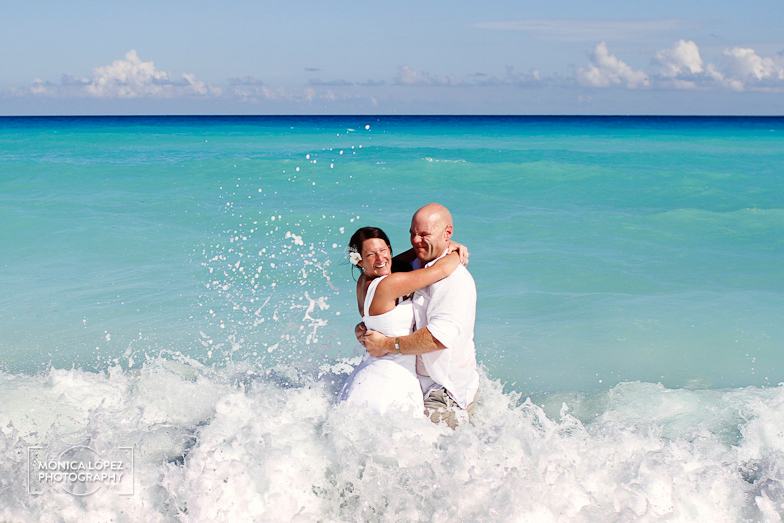 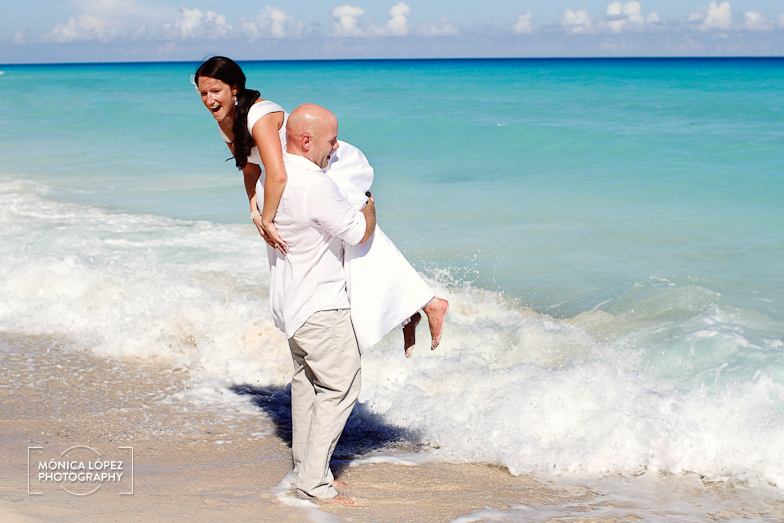 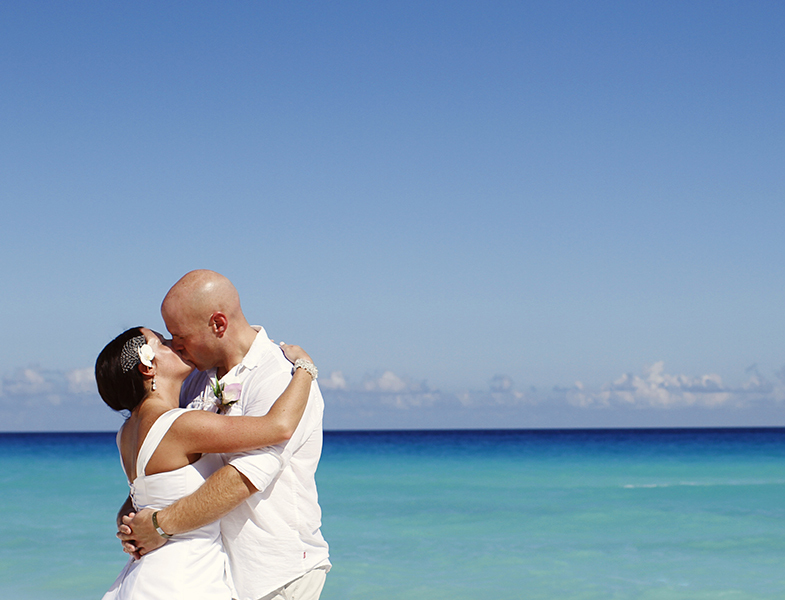 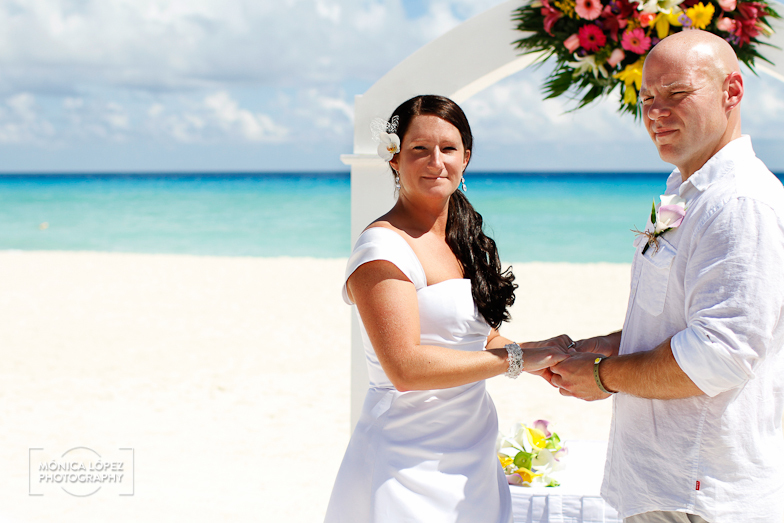 Being the photographer for Sarah and Jason’s Cancun wedding was a nice experience for me. 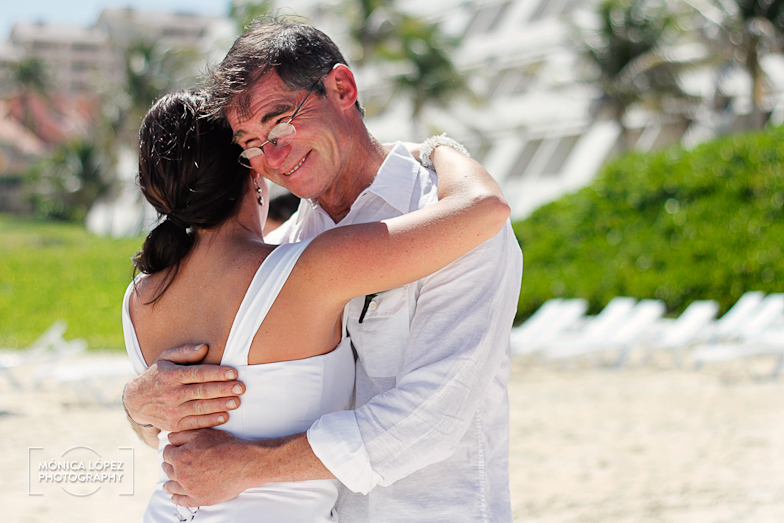 When they told me only friends and immediate family were attending, I knew this celebration was going to be intimate and relaxed, the kind of wedding that I like! 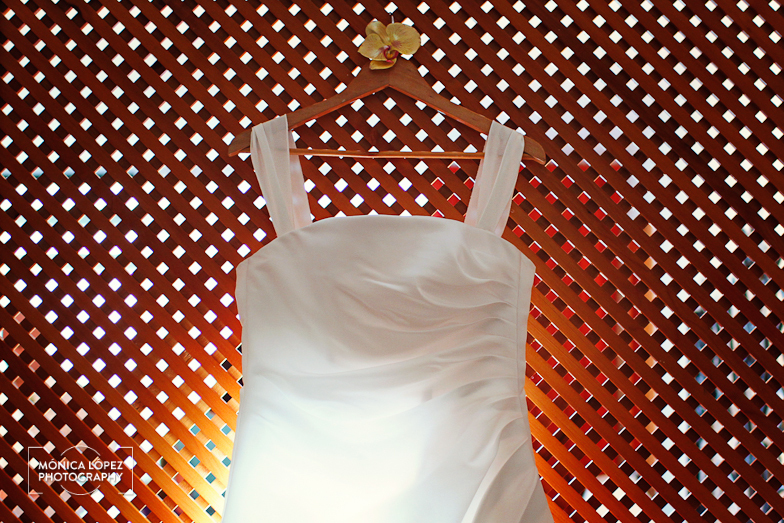 As trendy girls, we shared ideas over Pinterest (you can see my pins here: Mónica López Photography Pinterest ) where I’m currently adding more and more material for wedding inspiration, what to wear in our casual/family/couple sessions and places to go while traveling in Cancun, Riviera Maya and surroundings! 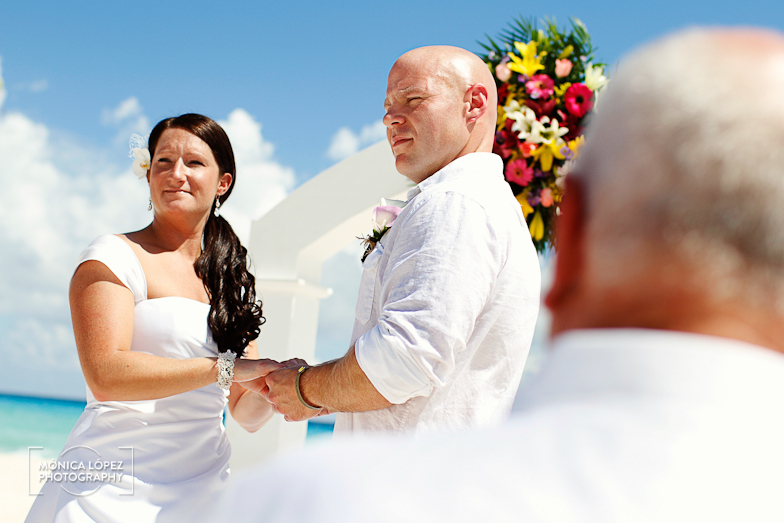 The ceremony was held at 1PM and I adviced Sarah to bring towels or napkins and lots of water for her guests, since the sun would be on us when is stronger… I even ended up with some sunburn only my right side, yikes! 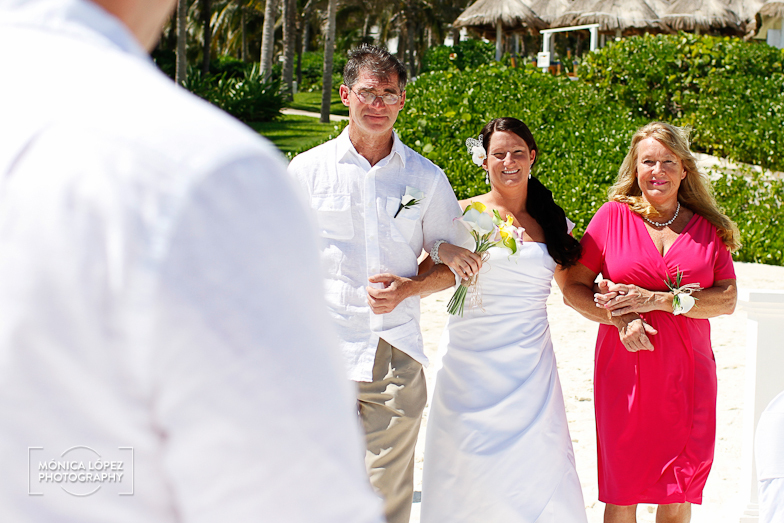 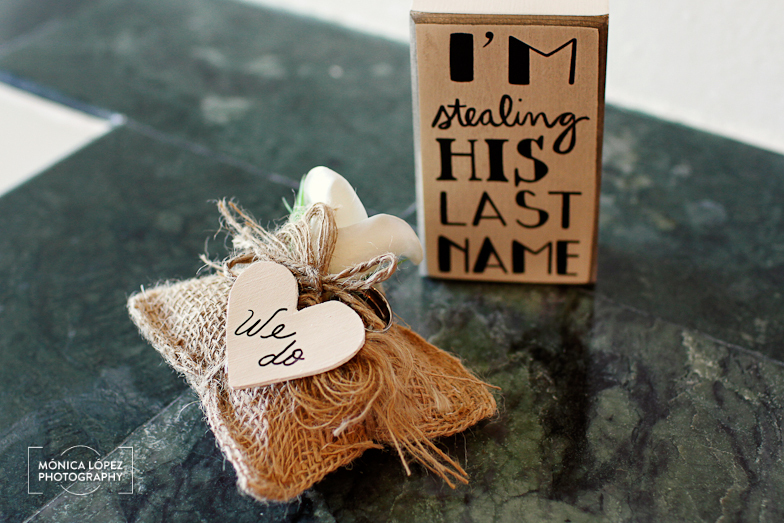 It was a pleasure working with a couple who is surrounded by love: they have a wonderful family, great friends, and many years of happynes to come. 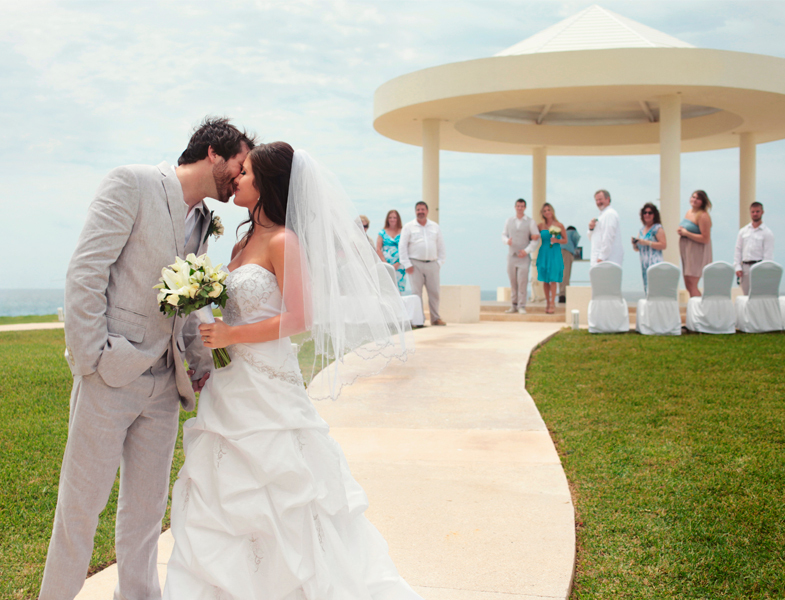 Muchas felicidades Sarah and Jason!